It’s that time of year when we start planning the return of school (how did that happen so fast?!) and organising our children for the new year. This is a perfect time to start the new school year well with a spinal check for your child. Did you know 1 in 3 school aged children are suffering from low back pain at any one time? Slouching at computers and other devices can lead to poor posture and pain. 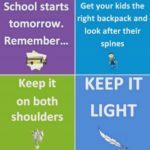 Poor fitting and heavy school bags can lead to strain on the spine. 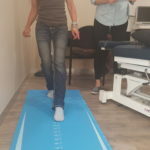 Injuries that occur during sport and play may also lead to pain and discomfort if left untreated. We recommend coming in for an appointment for a spinal assessment to treat any issues early. Early intervention can prevent your children from developing back problems later. 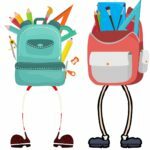 We suggest bringing in their backpack with school books for one of our chiropractors to check if the weight and distribution are correct. To make an appointment, call the team at Hands On Health on (02) 99493017 or book online.